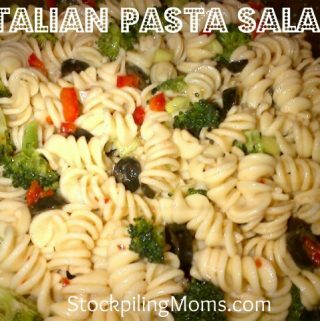 Italian Pasta Salad is the perfect side dish on a warm summer day. Toss all ingredients except dressing in a large bowl. Add dressing and mix lightly together. Refrigerate for several hours or best overnight.